New York – If you are Jamaican, chances are that you are fast: fast talker, fast walker or fast runner. In Jamaica, there is always an immediate need for speed. Herb McKenley, Merlene Ottey, Veronica Campbell-Brown, Sprint King Usain Bolt, Sprint Empress Shelly Ann-Fraser-Pryce and Elaine Thompson, did not come out of nowhere. They have been products of a well-manufactured system, unwittingly or not, that eschews anything that does not move close to the speed of sound. In track and field circles, it is a fact that Jamaica stands at the top of the sprint podium. But it is also an open secret that the country, despite its arguably best efforts, has not been able to attract or hone a serious 800m runner of any repute, in about 40 years. The women have not fared considerably better than the men but they have had some successes, ending with the active campaign of the affable Kenia Sinclair, who is, at this point, on the comeback trail. 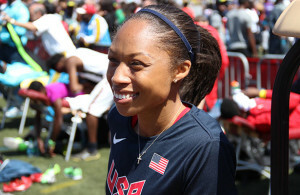 Sinclair competed with aplomb for a few years, and found some successes on the Grand Prix circuit, at the Commonwealth and Olympic Games, making finals and established herself as runner with some repute, having lodged herself in the world’s Top Ten, in Track and Field’s Annual Rankings, with some frequency. The 1960’s started off with a bang, as George Kerr led off the country’s campaign the 800m, winning Commonwealth and Olympic silver medals in the event. There was no great push from the Jamaican perspective, after Kerr, to create a more diverse track team, by extending beyond the outer reaches of the 100m, 200m and 400m, from local track officials and coaches. Admittedly, Jamaicans like a show and young athletes coming out of the high school system are not inclined to compete in an event that is not a showpiece. The middle distance events are, on every level, treated like the sprint-stepchild. This can change only if the powers of the Jamaican track and field association include a serious, intense scrutiny, of assessing and applying an emphasis and consensus among coaches and athletes. If one looks at the ‘progression’ of the 800m in Jamaica, there has been no marked improvement in stature since Seymour Newman, the Manchester born 400m and 800m runner, who showed so much promise in his heyday. A lot of Newman fans bemoan the fact that the athlete, a Commonwealth silver medalist, who had two years prior, missed making the final of the latter event at the Montreal Olympics, did not make a bigger name for himself internationally. 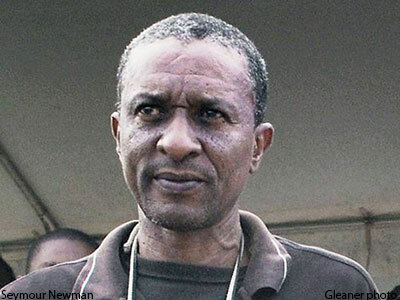 Newman’s achievements include upsetting then Olympic champion, Cuba’s Alberto Juantorena at the 1977 World Cup Trials, and setting the Jamaican record of 1:45.20secs in the his pet event, the 800m. That record still stands today. When one compares that to the current world record of 1:40.91 by Kenya’s easy-running David Rudisha, the need to make changes in the Jamaican system becomes more apparent. There have been efforts, I admit, whereby an exchange program with Kenya, for instance, was established, but it was, for one reason or another, set aside. We must revisit those plans again, and not wait another 40 years for the record to improve, and for the medal count to continue to rely so heavily on tried-and-true sprints. The great Empress of track, Shelly Ann-Fraser-Pryce has returned to training. Shelly took time from the rigors of performance to become a mother for the first time. She has been one of the biggest stories in track and field since she burst on the scene, winning the Olympic 100m title in 2008. She went on to retain her title in 2012, and on the back of that, won three World 100m titles, and a 200m gold medal. And that just scratches the surface of the Empress’s career. Is she too old at 31, to regain past glory? Can the sensational Elaine Thompson stop her? No pun intended, but time will tell. Sprint’s leading man, quadruple Olympic and World sprint champion, the incomparable Usain Bolt has retired. The Bolt Express made an indelible mark on the sport, and in terms of overall achievement, thinks of what tennis star Serena Williams or Roger Federer, or, in his heyday, Tiger Woods has done, and the Jamaican maestro is right alongside that trio. Bolt suffered some disappointment at the 2017 Worlds in London but that in no way, shape or form quantifies or typifies his career. I am sure that whatever he chooses to embark on at this juncture, will be just successful, or at a minimum, I hope he has great joy doing it.